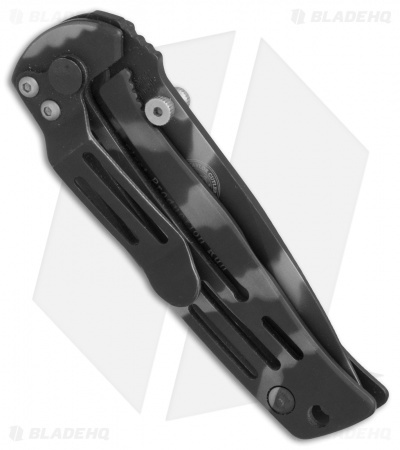 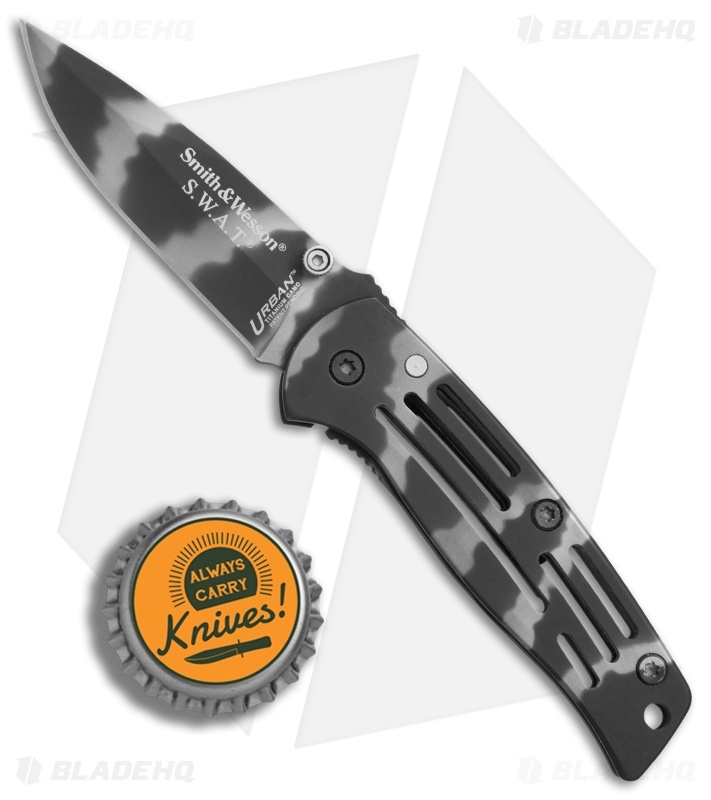 The Smith & Wesson SW3300C Camo Baby frame lock knife is a slim folding knife made for comfortable everyday carry. 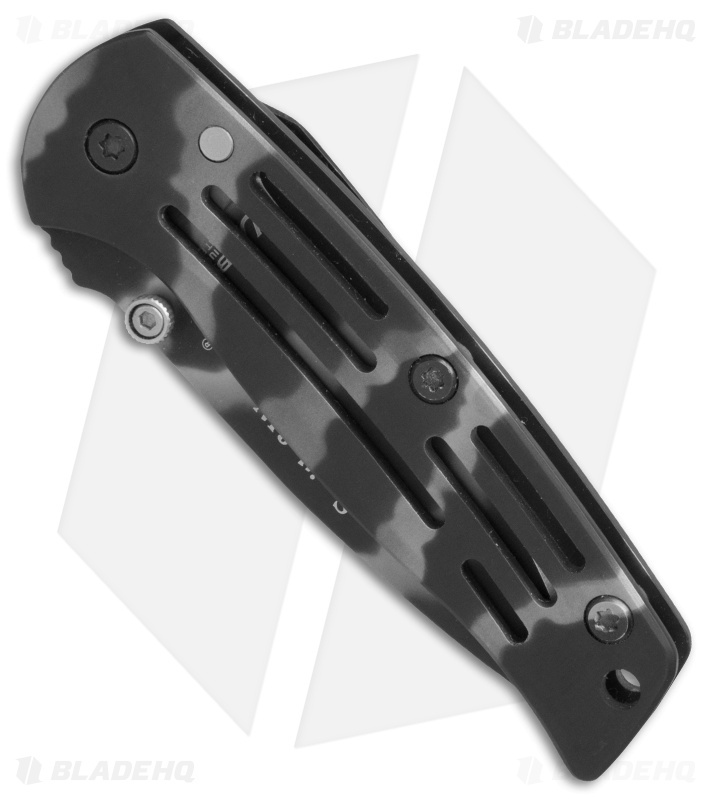 Titanium camo finished stainless steel blade with dual thumb studs. 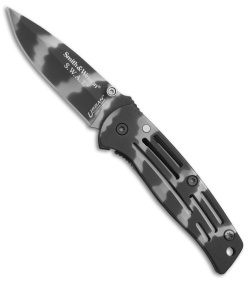 Lightweight stainless steel frame lock handle with a finish to match the blade. Secure pocket clip for comfortable everyday carry.